In many schools across America, detention is the go-to punishment when a student misbehaves. The offending child is often told to go to the principal’s office, where a form of detention is assigned. For minor offenses, it is often lunch detention. For more serious, or pattern misbehavior, after-school detention is likely the verdict. Of course, school systems vary greatly, but the concept of detention for in-school punishment is widespread. Kids are often told to sit quietly and do their homework. They are not allowed to talk. They can’t do any “fun activities” so that they will feel the weight of their punishment. However, is this method of discipline effective? Detention: How is it being handled? This makes sense. If teachers and principals take the time to talk to students about why they acted out and get to the root of the problem, they can discover constructive solutions. Maybe the student is having trouble at home, or trouble with peers. Maybe the course material is difficult for the student to understand, and this is leading to aggression or distracted behavior. Having an open dialogue with a student when they misbehave can bring these sorts of issues to the surface. It allows teachers, principals, students and parents to work on improving them together. If root causes are addressed, the “problematic” symptoms of student misbehavior may be positively resolved. As an alternative to standard detention, Robert W. Coleman Elementary School in Baltimore, Maryland is trying something revolutionary: sending kids to a meditation room. If a student acts out in class, the teacher directs them to the “Mindful Moment Room” instead of handing them a detention slip. The Mindful Moment Room is adorned with zen decorations and comfy pillows. There, teachers guide students in breathing exercises and mindfulness. This allows them to calm down and get their feelings into perspective. Additionally, instructors encourage students to talk through the situation that occurred, and get to the root of why they acted the way they did. The Mindful Moment Room was put into place with the help of the nonprofit organization Holistic Life Foundation and it has been a great success. According to Kirk Philips, Robert W. Coleman Elementary School’s Holistic Me coordinator, the school had no suspensions last year — and none this year so far either. At a nearby high school which has a similar mindfulness program, attendance rates are up and suspension rates are down. When you dig deeper into the research on meditation, it makes a lot of sense that this works stunningly well in calming kids struggling with their emotions. Researchers have linked this ancient practice to calming anxiety, improving mood, boosting energy levels, improving focus, increasing productivity and improving sleep quality, to name just a few benefits. All of these things are vitally important to developing minds. Plus, once kids hone the skill of mindfulness, it becomes second nature. It’s an important tool for kids to use throughout their lives. Other research, performed on high school students, found that meditation can lead to improved academic success and higher graduation rates. A 2013 study analyzed the academic records of students at an urban East Coast high school, where some students were enrolled in a course teaching techniques of “Transcendental Meditation®”. Results of the study found that the students that received meditation instruction had a 15 percent higher graduation rate than those who did not. These are all certainly very important benefits for students, and for everyone, in general. The Holistic Life Foundation has been doing even more for schools than setting up meditation rooms. 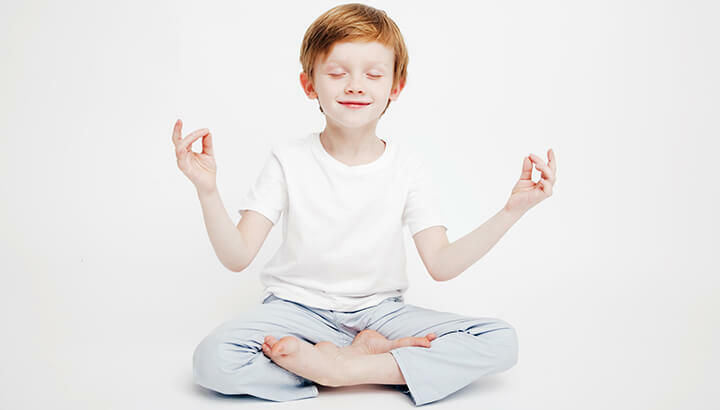 The Holistic Me after school program also offers elementary school children yoga lessons and mindfulness exercises. Teachers encourage kids in the yoga classes to help teach the lessons, giving them a sense of empowerment. The program also builds gardens and visits local farms. This teaches kids about where food comes from and how to grow their own. Personally, I think that all schools could benefit from a program like this. Instead of kids idling away their lunches or afternoons seething in anger in a detention hall, they could be meditating. They could practice self-reflection, learn to center themselves and develop a deeper understanding of their emotions. Plus, if the success of Robert W. Coleman Elementary School’s lowered suspension rate can carry over to other schools, it’s a win-win for students, teachers, parents and communities alike. What do you think? Should schools administrators replace detention with meditation nationwide? Hey Buddy!, I found this information for you: "Detention Vs. Meditation: And The Winner Is…". Here is the website link: https://www.thealternativedaily.com/detention-versus-meditation-in-school/. Thank you.